Bring your friends and family and fight child trafficking with us at the 3rd Annual O.U.R. 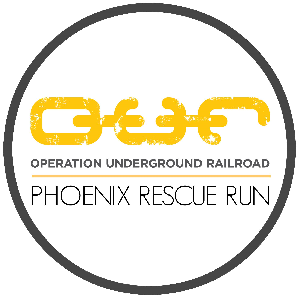 Phoenix Rescue 5k and Kids Run. Flat and fast 5k course that is stroller friendly. Race T-Shirts, Custom Medal, entry into the Raffle, Post Race Snacks, and Comp. Photos included in 5k registration. Additional medals given for the top finishers. Following the 5k, a 1-mile Kids Run will be held with each participant receiving a Custom Medal, Race Bib, and FREE entry into the Kids Zone so parents can run the 5k while their child plays! Awards will be given as follow. The event will be professionally timed by Race Timers using a disposable timing chip. Results will be posted live onsite and online during the event.